During the reign of ex-coach Tayfun Korkut, Akolo started twice from the beginning in the current Bundesliga season but could not stamp his authority on the pitch. 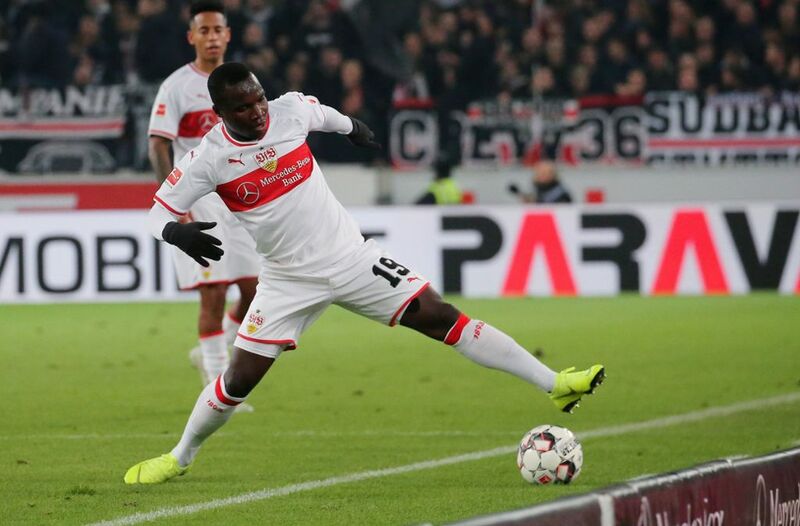 Akolo had another chance to prove his worth for Stuttgart when he was substituted in the closing minutes of the game in Leverkusen. Unfortunately, he played a big role in Kevin Volland’s counter-attack that resulted in 2-0 for Leverkusen. The 23-year-old still has the tacit support of the current coach, Markus Weinzierl, “in Leverkusen, he had ten minutes with one, or two positive situations, but he must also work consistently.” he said. 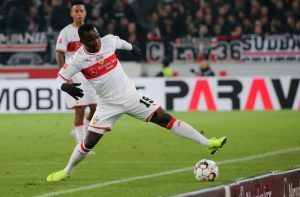 Recently, Akolo turned down playing for Congo in other to concentrate all his efforts on saving Stuttgart from relegation. He has good intentions but good intentions alone, will not do. Akolo’s loss of form could be temporary but he needs to grab his chances next time.